Members receive a $3.00 discount on this item at checkout. Hope of the Wicked by Ted Flynn is considered the best book on the market providing an overview of the major components contributing to the accelerated pace of the New World Order and One World Government that is already here. 500 power packaged pages of issues such as the role of the United Nations intrusion into US politics, the end of Nationl Sovereignty, the privately owned Federal Reserve, the end of privacy, secret societies, the links of business, foundations and governments, who are the council on Foreign Relations, the Bilderbergers, Trilateral Commission and hundreds of more issues in the words of world leaders themselves. 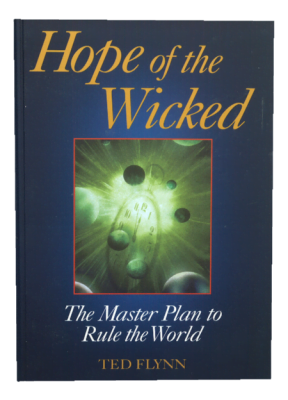 Read how chaos will usher in the New World Order. See who are the world players trying to bring change. See how the elite plan to “pull the plug” in our economy. Of particular note is the spiritual and moral state of American and where it is clearly headed. Highly recommended. 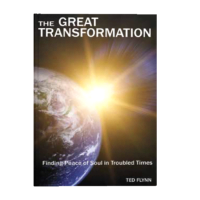 Many consider this book to the be the most comprehensive work on the New World Order.